The devotion to Divine Mercy has long been a part of CTF/SOS DRS. Even before the organization first became operational in 2004, it began to utilize and benefit from this wonderful devotion. And the blessings increase to this day as the members of CTF/SOS DRS daily invoke the Lord’s Divine Mercy through praying the Divine Mercy Chaplet for all those who are suffering and in need of forgiveness, particularly those who are affected by man-made and natural disasters. Audrey Binet, the mother of Fr. Scott, introduced the devotion to Divine Mercy to CTF/SOS DRS. 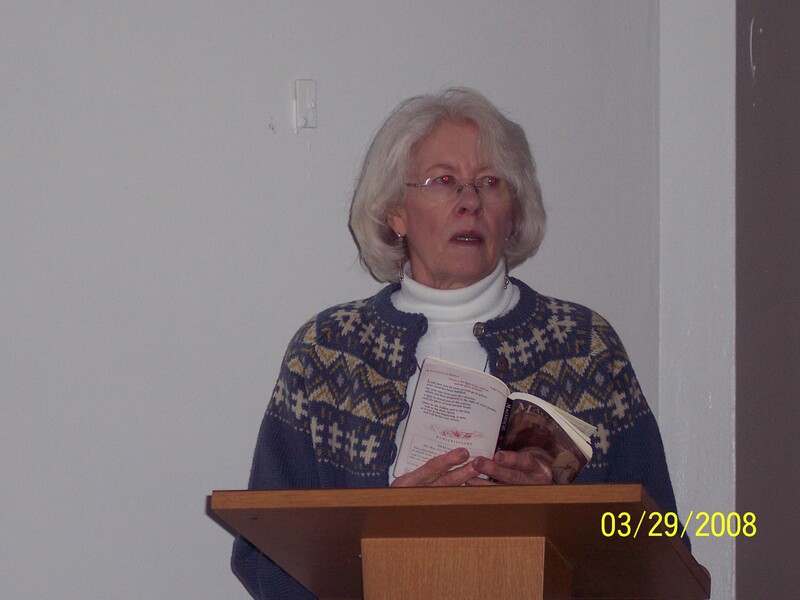 She writes, “During 2003 the Divine Mercy Prayers became increasingly meaningful to me because of my experiences of Divine Mercy Sunday. One day during the “3 o’clock prayer” I heard the words – ‘Jesus have mercy on the poor souls who will die this day. Through your cross and because of your passion show them mercy – divine mercy’. The words captured my attention at that time as being so powerful when prayed for those who would die in man-made and natural disasters. I thought of the 4th vow of the Camillians – to serve the sick even if one’s life is at risk. The two original prayer coordinators for the CTF, D’Ann Fisher and I decided that the Divine Mercy Prayers would be perfect for the organization. After a time Fr. Scott embraced the idea of praying the Divine Mercy Chaplet and cultivating a devotion to Divine Mercy as an integral part of the mission of the CTF internationally and in the USA. So starting with the 2005 CTF advisory board meeting in Augusta and then at every meeting thereafter, the use of the Divine Mercy devotion became an important part of all the official functions of the CTF. At the Cashiers, NC advisory board meeting in 2006 the notion of Divine Mercy was utilized in the mission statement of the organization: witnessing to the merciful love of Christ for the poor and the sick in word, deed and sacrament through serving the medical, pastoral and humanitarian needs of people affected by man-made and natural disasters regardless of race, religion or ethnicity. 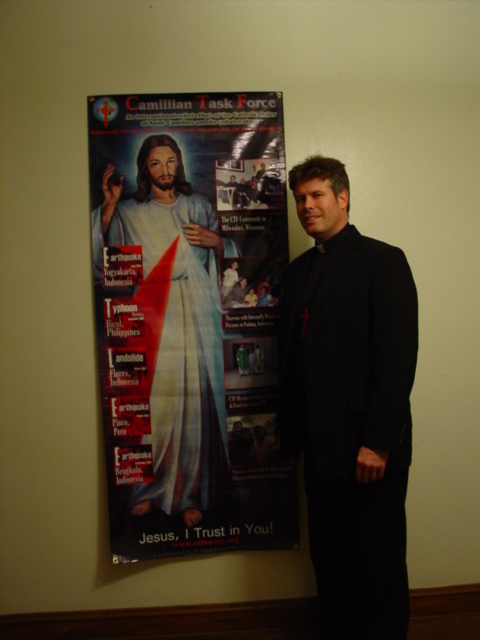 This mission statement was itself inspired in part by the theme of the 2001 General Chapter of the Ministers of the Infirm (Camillians): “to witness to the merciful love of Christ for the poor and the sick.” In 2006 the organization began to use the Divine Mercy image on a banner for its fundraising appeals in parishes in the US. The idea was to promoting the image and to offer it as a symbol of the mission of the CTF. 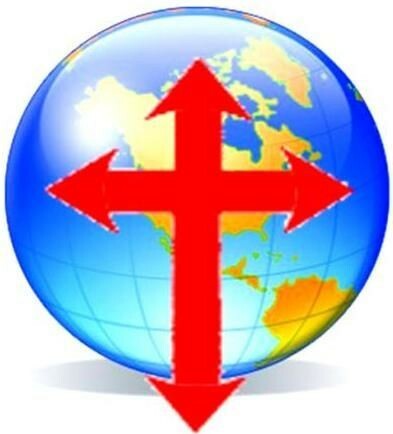 On March 30, 2008 – Divine Mercy Sunday – SOS DRS inaugurated its new headquarters in Milwaukee. Amongst other things, on that day we finished a novena to the Divine Mercy as we prayed the Divine Mercy Chaplet in the Divine Mercy Chapel at the HQ! It was quite an experience. In September 2008 CTF-SOS DRS as an organization started to pray the World Mission Rosary. The general intention for the WMR has been very much influenced by our devotion to the Divine Mercy. General Rosary Intention: That the Lord in His Divine Mercy – through the intercession of the Blessed Virgin Mary – may build up His Kingdom, make these mysteries a reality in our lives, strengthen us in our common mission, and come to the aid of those for whom we pray. 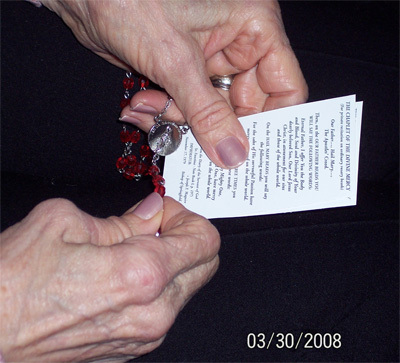 Later in 2008 several members of the organization made a commitment to pray the Chaplet daily, a practice that was greatly helped by the presence of Alice Sarry. She joined the organization in late 2008. With Alice’s zeal to pray and promote the Devotion, she soon became one of the main people responsible for advancing its use – both in and outside of CTF/SOS DRS. 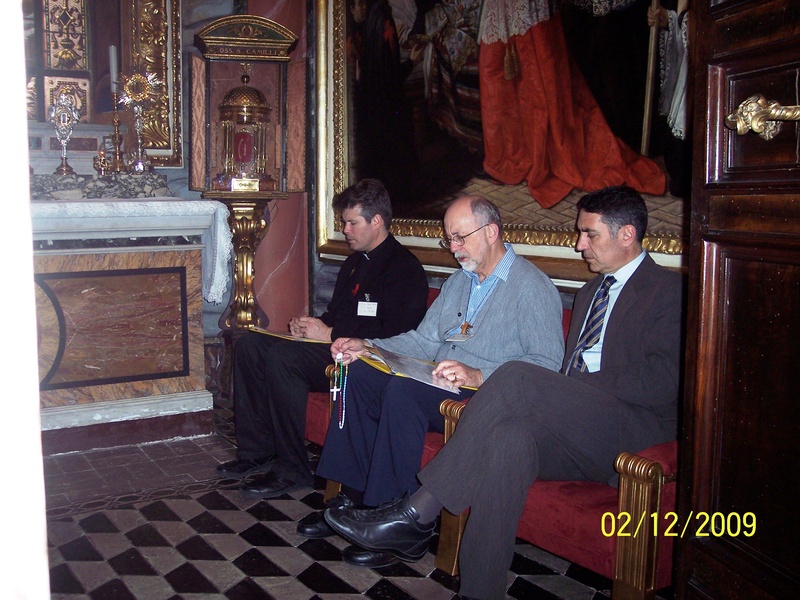 In February 2009 at the CTF Leaders Conference in Rome, the participants were offered the opportunity to pray the Divine Mercy Chaplet daily at 3 PM. What a great source of joy it was to see the various leaders joined and praying the Chaplet together in the cubiculum, the room where St. Camillus himself lived and died. The participants were invited to continue the Devotion upon returning home. And many have. The use of the Divine Mercy devotion will hopefully grow in CTF/SOS DRS and become an ever more important part of its mission. Its use promises to be efficacious for those in the organization and for those for whom they pray – people who are suffering from man-made and natural disasters. Jesus, we trust in you! This entry was posted in All Posts, CTF - A Community, CTF Network, Divince Mercy Chaplet, English, Formation, Liturgy & Devotions, Translate to Italian, World Mission Rosary. Bookmark the permalink.